As promised, TripandTravelNews arrived in the Promised Land. Our blog tour begins in Israel from Tel Aviv, the secular and worldly, full of life and desire to interact city, as explained to us the blogger Ido Kenan with whom we had dinner on the first night. In fact, Tel Aviv has another face; even just another city next to it then it arose and grew in the sand even half a century ago. 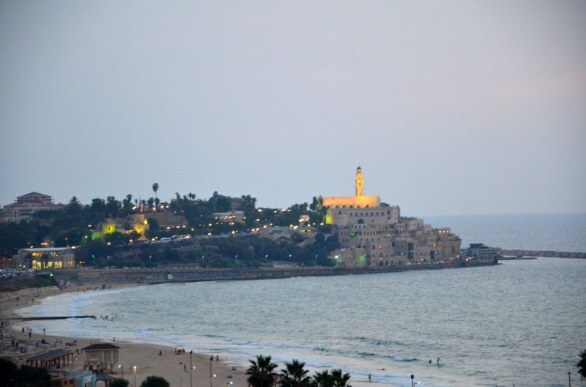 We are talking about the “old” Jaffa, from which we started with just the first delicious dinner and early in the morning we began to discover its fascinating maze in front of a few lovely Tel Aviv hotels. The Flea Market is a very popular craft market really done with all that you can find and lose in life. In this area you can buy antiques, fine rugs lying peacefully on the road but also shoes and used remotes. It is a truly amazing place in a small castle set in the ancient city, rich in eclectic art artists who live in this house-museum which is also made for the treasures collected by the endless trips around the world. After lunch we completely changed the scenario and the marine horizons, for walking in the young and modern Tel Aviv, from Neve Tzedek, Sheinkin Street to the rich and button Rothschild Boulevard, where the conflict between the styles of the houses protected Bauhaus and new skyscrapers skyline TLV is only apparent. In the evening we could skip the long night on the beach and in the premises of this city that never sleeps. There are premises of all types and for every need (Boredom does not exist).